After 3 months of preperation, got the ACP exam cleared today. Overall it was a nice experience and I feel extremely lucky to scrap through with 6 MP and 1P. Wanted to share with the folks here on the exam experience as it was an entirely different one compared to my PMP. I had started working in one of the Agile projects 6 months back, but I do not think experience has hardly anything to do in this exam. This is a scenario based questions which basically checks your skills to effectively use the theoretical knowledge you have leveraged. Books Referred:- I have only gone through the below books for exam prep and practiced few free Online practice tests. Mike Griffith's Exam Prep Second Edition - This book is not enough for Team Performance and Stakeholder engagement. Though it covers the overall exam topics. Agile Project Management with Scrum - Please go through the cases studies given. This gives a very good prespective on the scrum roles. 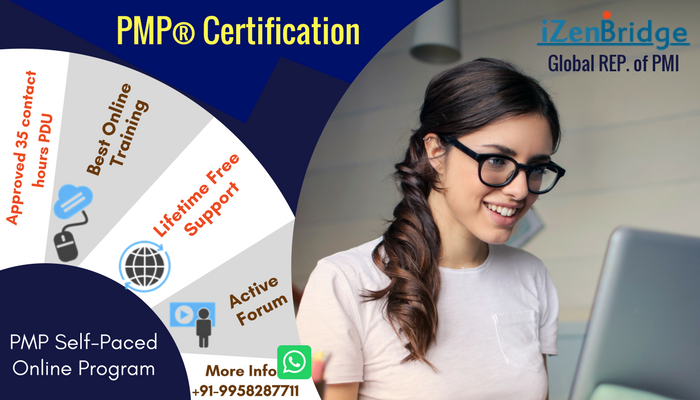 PMP Certification - Excel with Ease - Not that useful. But has all the syllabus covered. Please do not attempt the practice questions. Agile Estimation & Planning by Mike Cohn - Superb Book. It is a must read for all ACP test takers. All the above books had very few aspects covering team dynamcis and performance. Lyssa Adkins book on Coaching is a must read. I am not going in details on the exam prep. My total prep time was 3 months and only used the above books for studying. 1)It is very important to understand the role of Agile project manager. Though very few study material covered this but this is something every ACP exam takers needs to understand well. There were questions on project manager switching role, PM taking part as a Sponser etc. Atleast 5 to 8 questions referred PM role directly. 4)Kanban & CFD....Interpret the CFD and provide the answers. Understand the difference in the use of CFD and Burn Down/Up charts. 5)Agile Hybrid models...There were questions on Scrum& Kanban team working together and one issue scenario.How to resolve?.. One direct question on Lean Kanban...Could not answer..
1)Estimation & Planning - The section had very good weightage. Though some confusing, Mike Cohn helped me to solve most of them. 2)Value Driven delivery - Lot of direct questions. Not a single question on NPV,IRR and Other financial metrics. Prioritization Schemes had been on spot. 4)Agile Principles - Had a very significant count of questions especially on Scrum and XP procsses. As an agile practitioner how you will perform in a situation. We have to assume which role the exam is refering and accordinly adapt to the question. Liked answering most of the questions. Overall the exam was hard for me but somehow managed to pass. I think if you are doing self study the read the books by Mike Cohn,Ken Schwaber & Lyssa Adikins. This will cover your 75%. Rest you can refer Mike Griffiths. Do not try any online tests as most of them are no where near the standard of the exam. Overall a very beautiful exam which I enjoyed giving today. Reach me for any queries and all the best for exam seekers..!!! Congratulations for passing the PMI-ACP exam. I do agree that Exam is tricky. Your lesson learned is supportive to future test takers. Here I would like to share that iZenBridge continuously update the course material based on the current trend of examination. Our course, lesson notes, videos and mock tests are close to the real exam. Yes, PMI has referred many books, and each and every content doesn't matter for the exam perspective; thus, we have to filter according to the real exam context. iZenBridge provides the online course which has all the material to crack the exam. That is great Seema....I did not enroll in any online course and was depending on only reference books.So my perception is only based on that. Somehow always feel comfortable at self learning but very much appreciate forums like this which helps people like me to always come and view the best suggestions from experts.